Key Difference: Bajaj Pulsar 180cc DTS-i and 220cc DTS-i are both products from the company named as Bajaj Auto. Both are equipped with DTS-i technology. They differ in many specifications. Pulsar 180 cc DTS-i is a good value for money and can be preferred for its ultimate sports look. On the other hand, if performance is to be preferred then, Pulsar 220 cc DTS-i is one of the best bikes in India. Bajaj Group is one of the leading business houses in India. Bajaj Auto is the flagship company of Bajaj. Pulsar is a brand of motorcycles that has been developed by the company. Pulsar 180 cc and 220 cc DTS-i are among the variants of Bajaj Pulsar. If you are a motorcycle geek or just planning to buy a new Bajaj Pulsar motorcycle, then the differences between these two models can be very useful for you. The term DTS-i associated with these Pulsar models, stands for Digital Twin Spark Ignition. Bajaj holds the Indian patent for this technology. Due to this technology, a fast rate of combustion and then a faster rise in pressure is achieved. The models with this technology are known to be more fuel efficient and for lower emissions. 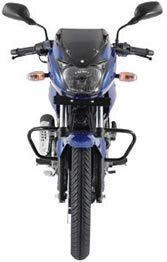 In 2003, Bajaj developed DTS-i technology and incorporated in its earlier 150 and 180 cc Pulsar bikes. Since then, they have gone through a series of upgradation phrases. In 2009, a version of Bajaj Pulsar 220 was launched by the company. Company marketed it as the fastest bike in India. 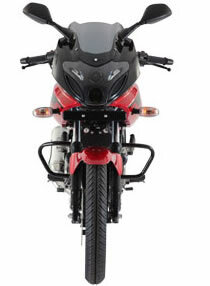 A new Pulsar 180 cc DTS-i can be referred to as a combination of Pulsar 200 and Pulsar 220. Pulsar 180 cc DTS-i comes in cocktail wine red, plasma blue, midnight black and misty grey silver. Bajaj Pulsar 220 cc is regarded as a stunner in terms of looks . The difference can be easily observed in the airscoops. These are provided to ensure better cooling of the engine. Pulsar 180 cc DTS-i is a good value for money and can be preferred for its ultimate sports look. On the other hand, if performance is to be preferred then, Pulsar 220 cc DTS-i is one of the best bikes in India.